Perennial. Zone 2. Asteraceae. (Syn. Compositae.) Widespread through Northern North America, Alaska to Labrador. 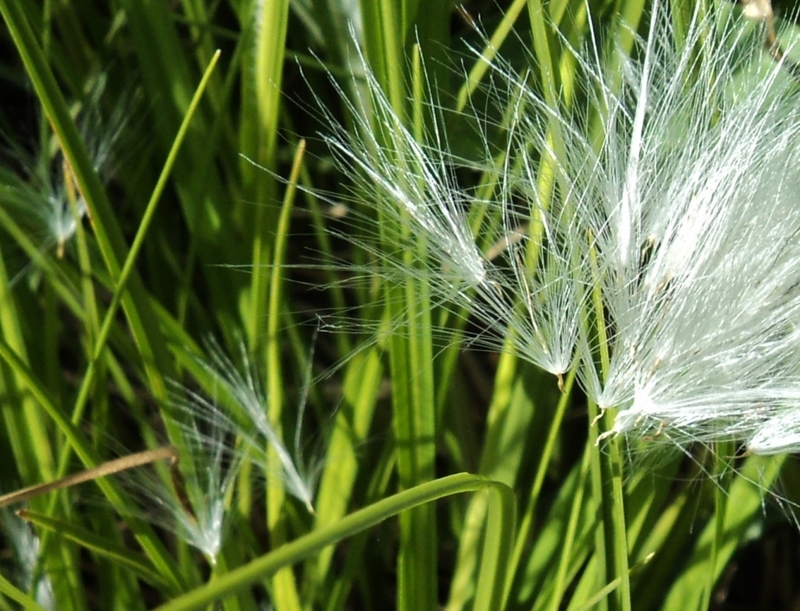 Found in wet seepages, swampy lake margins, and boggy meadows. Well, that was like catnip to a cat, and off we went, camera at the ready. “What could it be?” I pondered, with dreams of finding something exotic. But as soon as we got close, the identification was immediate. It was the rather spectacular seed stage of yet another Coltsfoot. 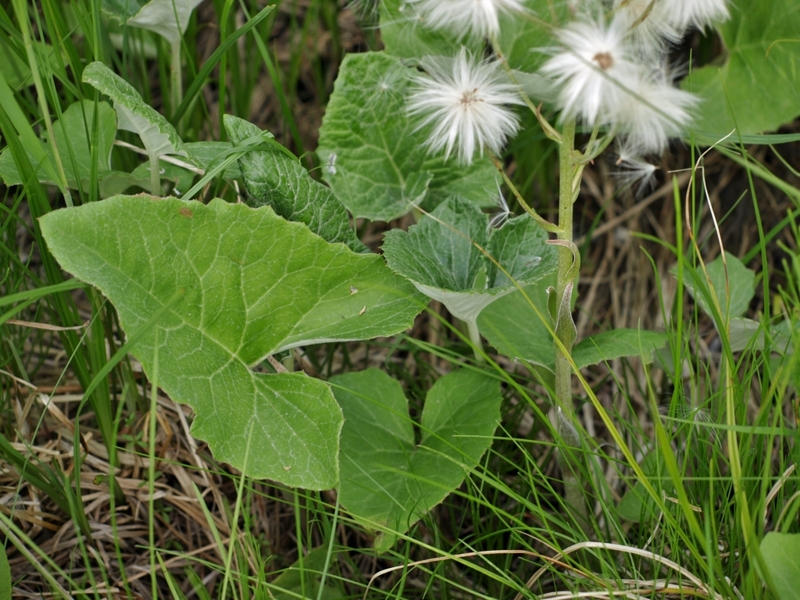 This is decidedly the most noticeable Coltsfoot – Petasites – in the Cariboo-Chilcotin, with its large (up to a foot long) arrowhead shaped leaves, green on the surface, and felted white underneath. 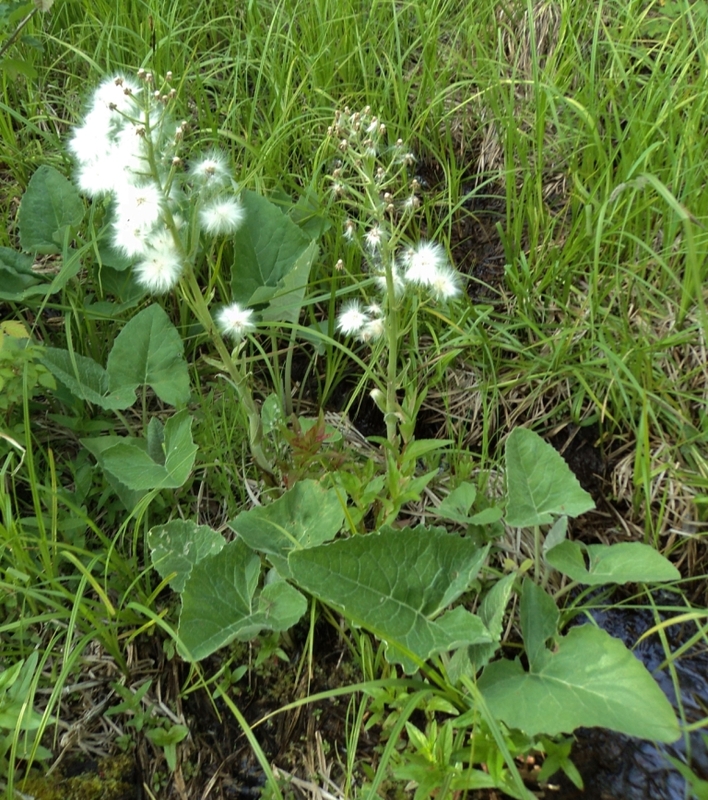 Petasites sagittatus has a creeping rootstalk, with flower stalks rising from it some distance away from the leaves. The flower stalks emerge in early spring, well before the leaves, and are thick, conspicuously bracted, and topped by clusters of typically Composite Family flowers, consisting of many disc flowers and surrounding ray flowers. Flowers range in shade from a slightly greyish white to faintly pink. 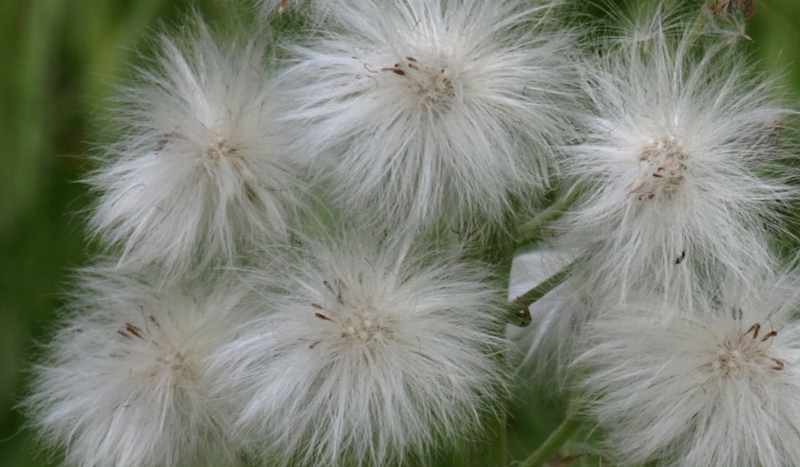 The seedheads are tall, up to 18 inches, and display cotton-ball white clusters of long-haired achenes, which soon disperse on the wind. This species will sometimes overlap with the other regional Petasites, P. frigidus var. nivalis and P. frigidus var. palmatus, and hybrids showing a mixture of traits may result, but in general this is the easiest of the Coltsfoots to positively identify. This plant will happily naturalize in a cultivated bog garden, though its vigorous nature and substantial size should be taken into consideration before introducing it. 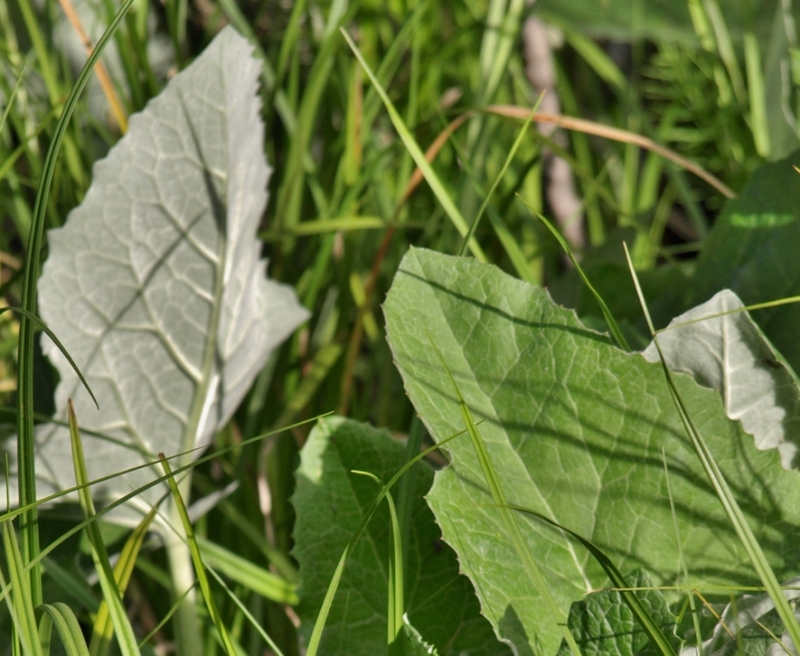 First Nations’ uses of all of the Coltsfoots included use as an early spring green (cooked), and as a salt substitute (the leaves were burned, leaving a salty residue), and medicinally for chest and stomach ailments. These uses duly noted, it is not recommended that one experiment with consuming or self-medicating with any of the Petasites, as they all contain potentially harmful, liver-damaging alkaloids. A handsome and unique genus.